Motorola has launched the successors of its Moto G and Moto X devices on Friday in India, called the Moto G (2nd Generation) and Moto X (2nd Generation). The Moto G (Gen 2) will be available via Flipkart, priced at Rs. 12,999 (215 $)for the 16GB version. After looking on the specs of I’m sure you’d call it a spectacular smartphone but calm down a minute. 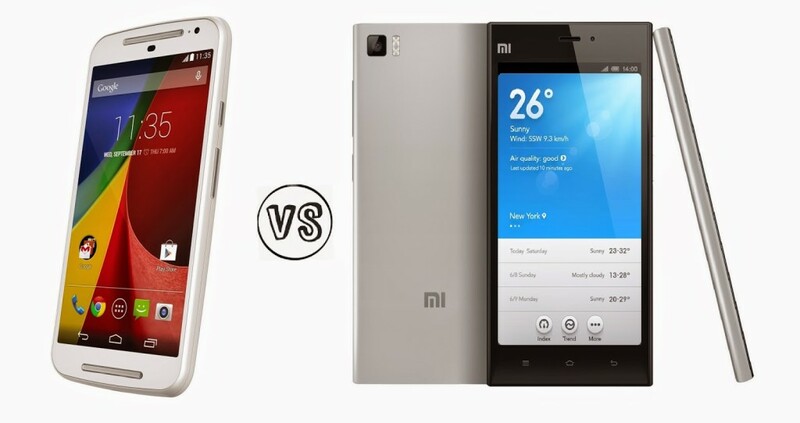 Xiaomi Mi3 which released a month ago , is better choice than Moto G2. Moving forward let me show you a comparison between both mobiles . From all the above info , it is clear that at a difference of 1000 INR we can get a better mobile than Moto G . Have look on Xiaomi MI3 comparison with Moto G first version . Also see Moto G 1st generation and the second one . Next article Apple is gonna Live Stream The iPhone Event tomorrow ! !